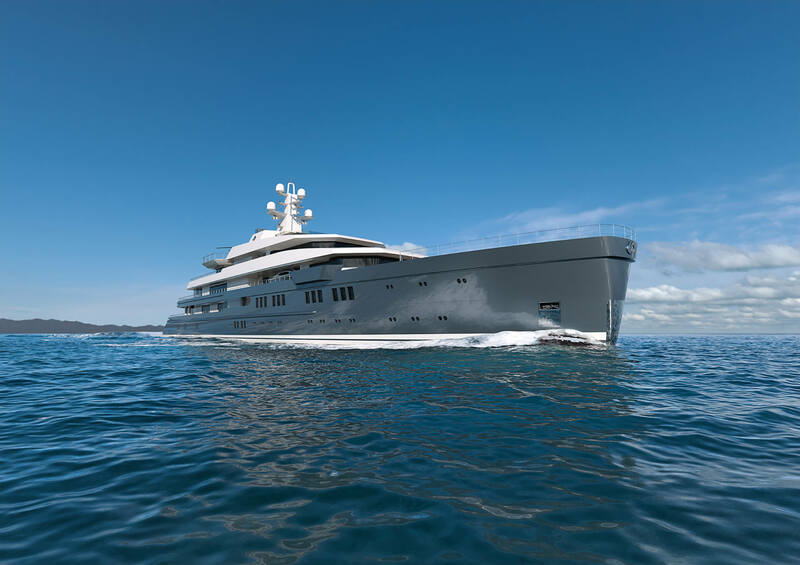 VSY 105 M is the first ship conceived by our shipyard according to the Passenger Yacht Code (PYC). 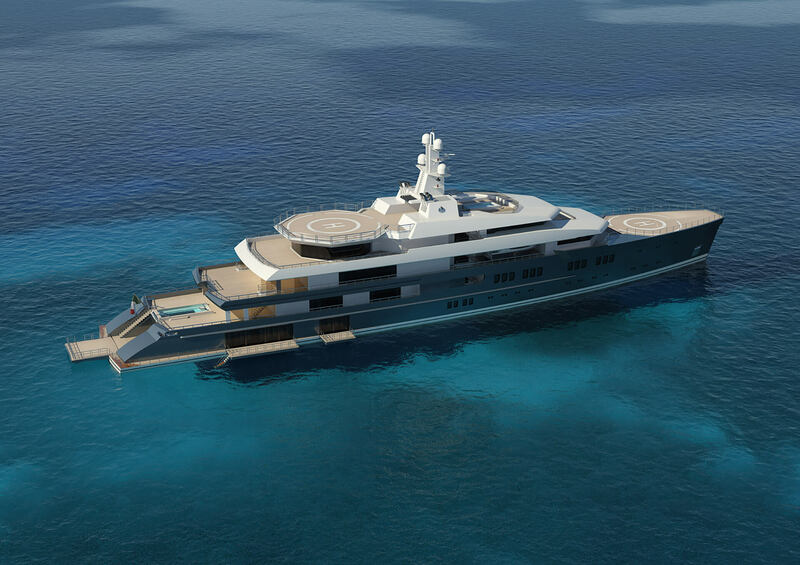 The development of the project is the result of a joint effort by Espen Øino, responsible for the exterior design, and the team of VSY technicians and architects, who, together, have devised a new concept for the internal layout intended to guarantee maximum living comfort whilst optimizing the configuration of space and the efficiency of on-board service. The uppermost covered deck of the ship is reserved exclusively for the owner and their family, providing an entire private deck overlooking the stern cockpit and a huge salon/study for personal use. The spaciousness of the owners’ area is matched by the generous quarters devoted to guests: the VIP cabins, equipped with en-suite balconies, offer the unique experience of a mini-beach overlooking the sea, delighting the occupants with immersive and personal contact with the surrounding nature. This open-air approach repeats in the dining room, which extends across the entire width of the main deck and is flanked by open balconies on both sides that treat diners to a gentle breeze. The focus on shipboard comfort has inspired non-invasive functional layout solutions that ensure maximum livability, such as the fore maneuvering area being concealed and integrated underneath the bridge deck. 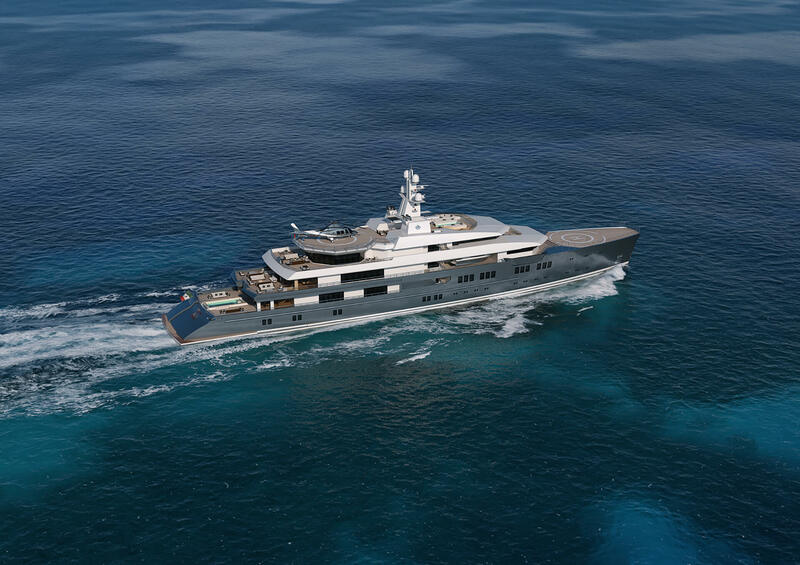 At the same time, the approach of our shipyard –which puts the owner at the center of it all – is the framework for designing elements conceived to exceed the needs of any owner, such as two helidecks, one forward on the main deck and another astern on the sun deck, where you’ll also find a wide sunbathing area next to a second swimming pool and the bar area. You see it, you feel it, but most of all you live it. At VSY, quality doesn’t lie just on the surface, it is an inherent identity trait which translates into a remarkable lifestyle: it’s self-aware luxury, capable of combining the utmost attention to aesthetic and functional details with measurable sustainability parameters. This particular concern has always been a cultural paradigm of the modus operandi of the shipyard, which concretely impacts the engineering solutions forged in every single ship we build. For example, on board the 105 M, a study was carried out on the engine room layout, developed over two levels, and in general on the technical areas of the ship, in order to allow for the installation of the most advanced devices for emission control in compliance with the strictest environmental regulations. 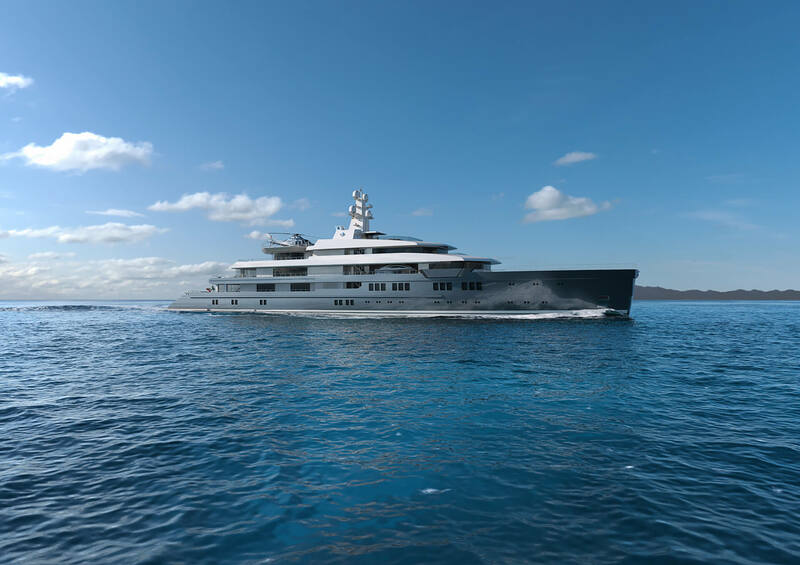 On the flagship in particular, a specific treatment makes it possible to release clean exhaust fumes into the atmosphere through pipes leading to the top deck. 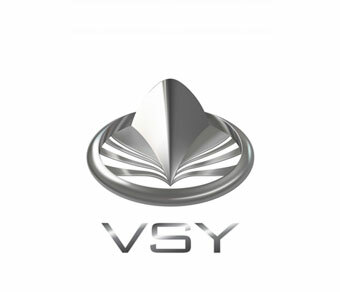 This further step along the path of sustainability confirms our commitment to investing in innovation, thus further extending our well-established know-how on shipboard comfort and green technologies: from the expertise shown in the structural dimensioning and insulation requirements, keeping top-notch standards in terms of noise and vibration reduction, to the high degree of automation and efficiency of VSY ships, achieved thanks to sophisticated integrated systems for the control of installations and devices. Among these is the power management system, which is capable of monitoring the electrical loads present on board, thus optimizing the use of power supply sources in a more functional way. 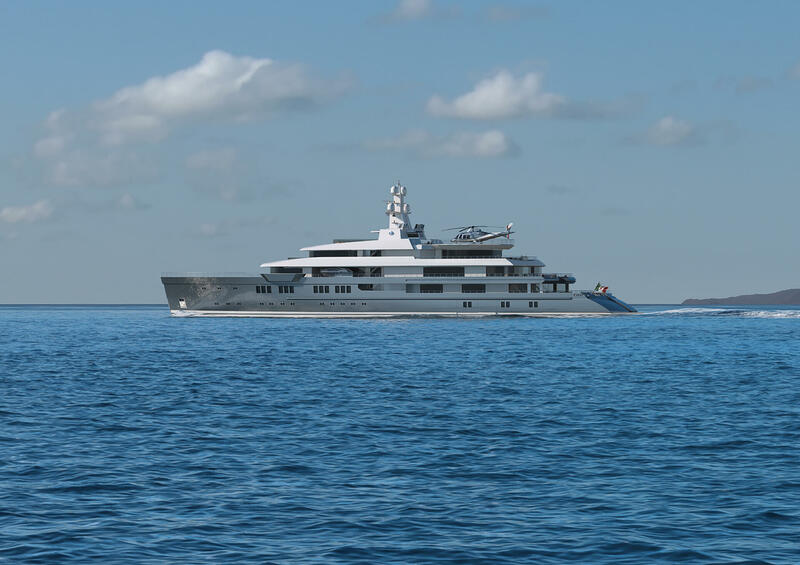 In addition, like all the superyachts in our fleet, the 105 M adopts the dynamic positioning system, i.e. the Green Anchoring System to station in those areas were traditional anchoring is forbidden, such as the coral reefs or Norwegian fjords. An integrated Control system provides seamless integration of Navigation, Propulsion Control and Ship Automation functionality.